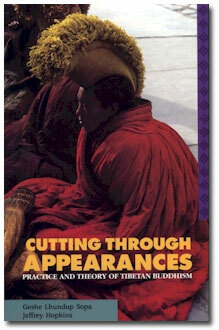 Cutting through Appearances: The practice and theory of Tibetan Buddhism. 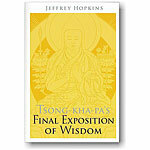 Presents the practice and theory of Tibetan Buddhism. 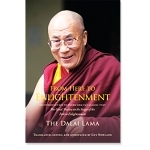 First is a meditation manual written by the Fourth Pan-chen Lama (1781-1852) based on Tsongkhapa's Three Principal Aspects of the Path and covers the daily practice of Tibetan monks and yogis. 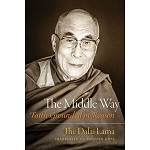 It details how to properly conduct a meditation session that contains the entire scope of the Buddhist path. Next is the Presentation of Tenets, written by Gon-chok-jik-may-wang-bo. It covers Indian Buddhist schools as viewed in Tibet and provides a solid introduction to the Buddhist theory animating the practice. Topics include the two truths, consciousness, hindrances to enlightenment, paths to freedom, and fruits of practice. Paperback, 1989 edition, 359 pages.